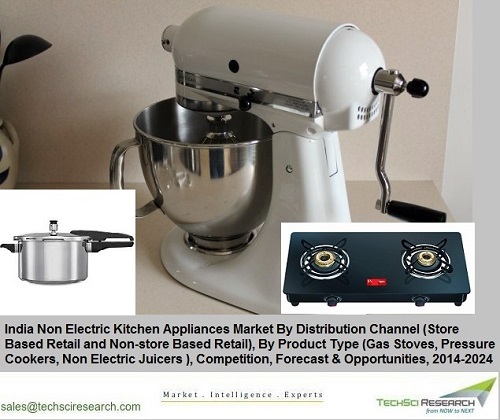 According to TechSci Research report, “India Non Electric Kitchen Appliances Market By Distribution Channel, By Product Type, Competition, Forecast & Opportunities, 2014-2024”, India non electric kitchen appliances market is projected to cross $ 972 million by 2024. 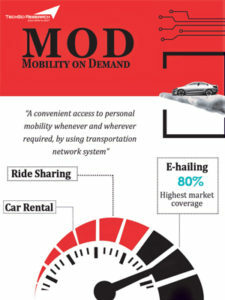 Anticipated growth in the market would be driven by changing lifestyle, increasing per capita disposable income, rising number of nuclear families, expanding middle class population and growing youth population who are inclined towards products offering enhanced convenience. Moreover, easy product availability and expanding distribution and supply chain of manufacturers and suppliers are expected to aid the country’s non electric kitchen appliances market during the forecast period. Proportion of working women in the country is increasing gradually, which is contributing to growing household income as well as leading to time shortage for women towards household activities. Also, with rapid increase in the number of nuclear families in urban India, sharing of household work among family members is on the decline. Consequently, the utility of non electric kitchen appliances, that help in minimizing the effort and time required in cooking activities, is on the rise. Increasing competition among store-based retail outlets coupled with growing amount of time spent by consumers on the internet is resulting in rising sales through online channels; however, multi-branded stores segment is anticipated to continue to be the dominating distribution channel for non electric kitchen appliances in India. “Demand for non electric kitchen appliances is growing across the country, owing to increasing trend of working women, in addition to rising influence of social media on the millennial population which persuades them to purchase these appliances as they provide convenience and comfort. Moreover, leading non electric kitchen appliance manufacturers are continuously diversifying their product portfolios and are offering a wider range of products, both in terms of applications as well as price range, resulting in the accessibility and visibility of non electric kitchen appliances in the country. Such developments are expected to positively influence India non electric kitchen appliances market over the course of next five years.”, said Mr. Karan Chechi, Research Director with TechSci Research, a research based global management consulting firm. “India Non Electric Kitchen Appliances Market By Distribution Channel, By Product Type, Competition, Forecast & Opportunities, 2014-2024” has evaluated the future growth potential of non electric kitchen appliances market in India and provides statistics and information on market structure, size, share and trends. The report is intended to provide cutting-edge market intelligence and help decision makers take sound investment decisions. Besides, the report also identifies and analyzes the emerging trends along with essential drivers, challenges and opportunities present in India non electric kitchen appliances market.